Last year I restored my late grandads old vice ( 40 plus years old ) and fitted it into my van which I now use daily. 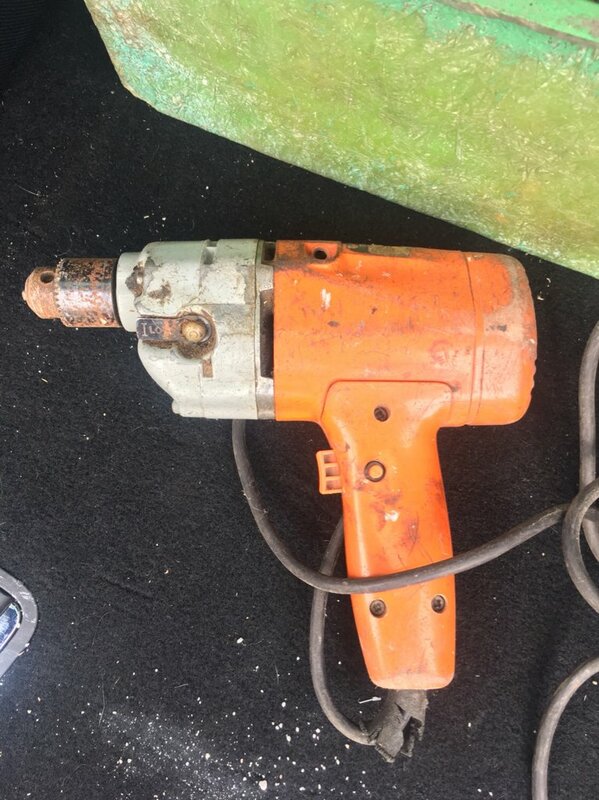 I recently found his old drill and thought I’d do the same, I probably won’t be using it for work but it like to restore it. Seen plenty of these old black and decker drills about in my older customers garages but I’m sure parts are no longer available. Does anyone know much about these. I took the casing apart today and a few washers were broke in half so not sure where they have come from. I’m sure I can get a new chuck and it needs a good clean and a re paint but I’m more concerned with the motor and gears etc. Was just after some thoughts and has anyone ever done anything like this before ?? Dang!.......My dad used one of those for years while I was a lad. There is a lot on internet and you tube over this, very sought after in a niche way. I used to have a Millers Falls Electric Drill, made in 1951 in USA. It was my only drill for years, only problem was it had a real kick to the right when you press the trigger. Old drills are collected , its worth restoring if you can. In terms of workshop tools, keep a look out for nesting screwdrivers, nice to collect, I only have one but always look for others. Iv looked on eBay for a similar model to take bits off. Some of them stare in brilliant condition. I’m really not sure how old this drill is but I remember playing with this as a small child in my grandads garage and I’m nearly 38. As another guy said it brings back memories , when I found this the other day it brought back so many memories of my childhood. My grandads the reason I’m in the trade I am and have been for 20 years now so it’s very satisfying getting some of his old tools back into use. You’ll might find parts in America. I restored some of granddads power tools a couple of years ago, one item was a craftsman radial arm saw from the 60’s if I remember correctly and all parts where still available apart from the casing and steel frame. I'm using my father's DNJ 62 (1980) occasionally when I need something a bit more powerful than the cordless. Still works perfectly.